Welcome to our first ever banking tech round-up as we get our fintech trimmer out. Featuring Finastra, Cyberport, ME Bank, FIS, FinReach, Deutsche Postbank and Saxo Bank. Finastra will open a banking centre at Cyberport in Hong Kong as it looks to meet fintech investors, start-ups and the business community in the APAC region. Imad Abou Haidar, MD, Asia Pacific at Finastra, says this is the “first exclusive banking centre of excellence of its kind at Cyberport which will provide an immersive lab environment dedicated to driving digitalisation across the financial services industry”. Dr. Lee George Lam, chairman, Hong Kong Cyberport Management Company, says it has over 250 fintech companies and partners that it works with for “hackathons, talent development and innovation adoption”. Management consulting firm McKinsey will be the official “knowledge partner”. The centre is expected to open in Q1 2018. ME Bank, a direct bank based in Australia, has chosen FIS as its new cards platform provider. Created in 1994 by a group of industry funds, the bank launched its first credit card, called Frank, in 2016. Under the new agreement, FIS will provide a platform for credit and debit cards, including creation, processing and billing. 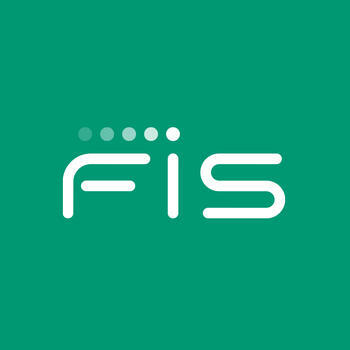 FIS will work with ME Bank on a suite of new credit card products and expects to migrate more than 300,000 existing ME customers to the new platform in the latter half of 2018. Last year, ME Bank signed a five-year deal with tech consultancy firm Capgemini to manage its core banking functions. In partnership with Berlin-based software provider FinReach, Deutsche Postbank has launched a tool for its clients to switch their bank account in “less than ten minutes”. According to FinReach, since the implementation of the Payment Account Directive (PAD) in Germany in 2016, also known as “ZKG” or “Zahlungskontengesetz”, around 2.5 million bank accounts are switched every year in the country. Since its launch two years ago, FinReach says its account switch service is being used by over 500 banks in three countries. Amongst them, Deutsche Bank, DKB, several Sparkassen and Volksbanken, as well the banking group Raiffeisen Austria and the Spanish Self Bank. With FinReach, bank clients can switch their direct debits, standing orders and incoming payments from one bank to another. Saxo Bank has unveiled its “Essential” account as it targets entry-level traders. The new account has launched in the UAE and UK and will be rolled out in Australia and Singapore during the first months of 2018. In the selected markets, trading accounts for individuals will consist of Essential, Classic, Platinum and VIP. The Essential account will offer access to four asset classes; FX, index CFDs, stocks and bonds. Essential is underpinned by SaxoTraderGO, Saxo’s platform built with open API technology and offering functionality for the trade cycle.